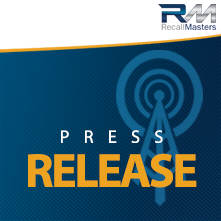 San Francisco, CA — November 24, 2015 — Recall Masters, Inc., a leading provider of automotive recall news, data, training and communications, today announced the launch of a brand new website for the automotive industry. The company recently expanded its solution to multiple automotive businesses, including automakers, factory authorized dealers, pre-owned car dealers, fleet operators, rental car agencies, auto auctions, marketing agencies and other potential vendor partners. The website has been redesigned and expanded for more efficient navigation and to better explain all of the company’s solutions and product offerings. The site has also been built to fill a void as far as information and resources concerning automotive recalls. It is designed as a one-stop source of automotive recall news, information, marketing, training and other resources. Automotive businesses can visit the site to leverage the industry’s most comprehensive source or recall owner information for most every major auto make, get updated on all the latest news, and even request a free open recall report, tailored for their market area. Other educational resources include a recall communication sample, recall estimate by distance, recall summary report, Recall Masters Academy best practices curriculum, and company’s may request a free trial of the software services including API access and Inventory VIN Check. Future enhancements to the site will include self-service recall program enrollment and the Recall Masters Academy Online, the automotive industry’s most complete online recall program for dealers and BDCs. It will provide best practices, productivity tools and proven processes to achieve superior results.